We chose Smartt. Not just because they’ve been a trusted connectivity provider since 2000 but because we liked the way they approached the situation as though they were our own IT department. Scott often shares his stories about how he went from being a prolific nightclub promoter in The Big Apple to becoming a volunteer on a hospital ship. These stories humanize Scott by showing the drastic changes in his life and help him better connect with the audience. These stories also put Scott under the microscope and enable the rest of us to see his vulnerability and weaknesses. Ironically, instead of devaluing him, these stories actually make him more real and inspiring as the audience wants to engage with a person who is real. By understanding the effectiveness of Scott’s story-telling approach, we can begin sharing our problems that keep us up at night so that our consumers or audience will see us as human beings as opposed to salespeople. This will not only allow us to capture the audience’s attention, but also help us develop personal bonds with our consumers. Know who you’re speaking to. Scott has received millions in funding from tech co-founders such as Michael Birch and John Vechey. How did he do it? He tailored his value propositions. 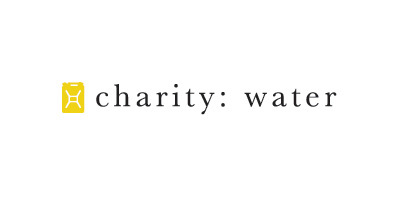 Some donors are more interested in certain initiatives that charity:water has while others may prefer other campaigns. Therefore, it’s vital for Scott to understand his audience’s preference and propose his ideas seamlessly to meet the audience’s expectations. This same approach is critical for marketers as we can’t offer our products or services unless we can prove that our products or services can create significant values to our consumers’ lives. Story-telling is one of the most ancient, but nevertheless potent, marketing tool. With story-telling, marketers can take their audiences on an emotional, spiritual journey through vivid images and powerful words. Scott Harrison in particular has mastered this tool. (If you want evidence, watch his 2013 Inbound keynote speech where he explained his organization’s role in resolving the global water crisis while encouraging 5000 inbound marketers to support his mission.) As marketers, we can also master this craft so we can seamlessly and permanently capture our audiences’ hearts.